The new 2019 Chevrolet Impala is a premium large sedan named the 2018 Best Buy by Kelley Blue Book – making it the fourth year in a row. The luxury styling flows gracefully from the exterior to the interior with a sharp and aerodynamic body, LED daytime running lamps combined with available high-intensity discharge (HID), available chrome-capped side mirrors, along with luxurious leather seats and available Bose Centerpoint Surround Sound system on the interior. 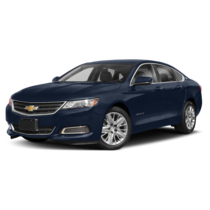 Not to mention, every trim level 2019 Impala is packed full of technology like Chevrolet MyLink with Bluetooth wireless technology as well as Apple CarPlay and Android Auto compatibility. 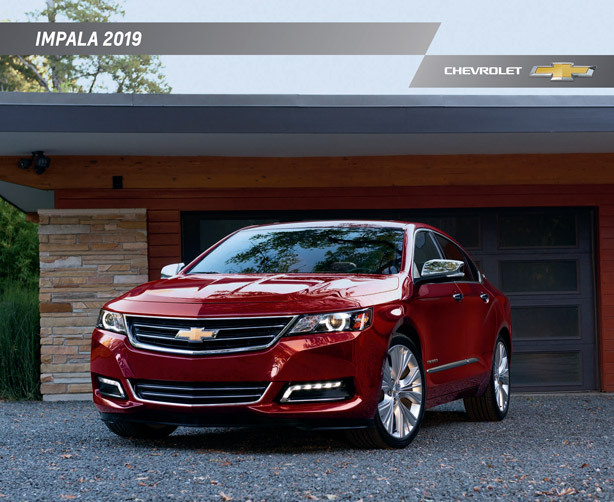 You can explore the refined interior, read about infotainment and connectivity technology, and learn about available safety features by downloading the 2019 Chevy Impala brochure via the button below. When you're ready to step into luxury, Graff Bay City has you covered. You can conveniently shop our 2019 Impala models online from your smart phone, tablet, or personal computer. Our listings are updated daily, so you'll always know exactly what's available on our lot. Each listing comes with pricing, any current incentives or rebates, photos from the dealership, and full window stickers so you know just what features are included. See something you love? Don't wait to give us a call at (989) 684-4411. We'd be more than happy to set you up with a test drive so you can experience the 2019 Chevy Impala in person!